NEW DELHI (Sept 2): General Motors Co expects to be profitable in India in five years as it cuts costs and works towards increasing locally produced content for its cars, the automaker's country chief told Reuters. 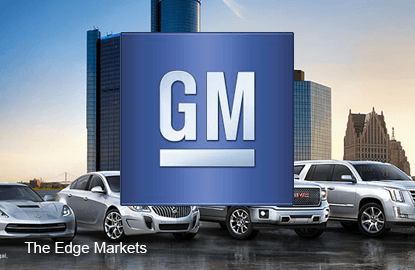 After two decades in India, GM's sales are falling and it is still losing money, some 38.5 billion rupees ($581 million) in the year to March, a company filing with the corporate affairs ministry showed. GM said in July it plans to invest $1 billion in India to make it a global export hub and to launch new products, even as it cuts its production capacity due to sluggish demand. GM also plans to increase the amount of local parts and engineering in its cars to 70% in five years from much lower levels now, Saxena said. Passenger car sales in India rose 5% in the year to the end of March, but global carmakers Renault, GM, Volkswagen, Skoda and Ford all reported double-digit declines, industry data showed. Instead, rivals such as Maruti Suzuki India Ltd and Hyundai Motor Co are benefitting from rising sales. But India is still expected to be the world's third largest passenger car market by 2020, so global carmakers are shifting their strategies to boost sales and cut costs. GM has been on a cost-cutting drive for months. The company has moved its corporate headquarters in India to a different location in the same city, which saves it 50% in rent payments, adding up to annual savings of $500,000, Saxena said. The company also plans to launch 10 new domestically-made vehicles in India over the next five years in a push to double its market share by 2020 from 1.8% in 2014. "We need to have a more sustainable and committed business. It would take time and would be a combination of all the activities that we do," he said, adding that until domestic sales revive it will focus on exports. The company started exporting to Mexico from India this year, in addition to Chile, which will help push total annual exports for 2015 to 20,000 and it expects to double this to more than 40,000 at the end of 2016. In future, it could also look at exporting to parts of north and South Africa and some Asian countries.